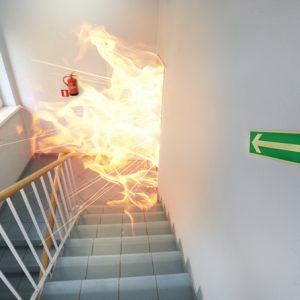 Current UK legislation requires most businesses to undertake a Fire Risk Assessment (FRA) under the Regulatory Reform (Fire Safety) Order 2005. The assessment needs to be handled by a competent person and it’s the responsibility of the employer to ensure that this happens. In addition, if your company has 5 employees or more then you’ll need to put together a written FRA. Your FRA with Blue Square Safety normally costs from £249.00 + VAT. We’ve got THREE great offers to save you money – hurry, they are only available until the end of January 2017. OFFER 1: £50 off for current customers – FRAs from just £195.00 + VAT. OFFER 2: We’ll beat any ‘like for like’ quote from another FRA provider. OFFER 3: New customer? We’ll complete an FRA free of charge if you take out a 12-month support contract with us. Bonus offer! Book an FRA now to get 6 online Fire Awareness Training sessions for your team completely free! For more information on how we assist you with your FRA, click here.